We couldn’t agree more. Oregon’s fiscal foundation should always be a top priority. Our state’s long-term fiscal health cannot be separated from our long-term climate resiliency. Oregon is far from meeting its greenhouse gas reduction goals set in 2007. And the impacts from climate change are already costing the state plenty — in dollars, resources and human health. The third annual Oregon Climate Report released by Oregon State University in January 2017 reported: “Snowpack is declining, summer streamflow is lowering, wildfire activity is increasing, sea level is rising, and coastal waters are acidifying.” The cost of inaction now is much greater than passing a responsible carbon pricing policy in Oregon. In fact, the cap-and-invest proposal (Clean Energy Jobs Bill) will significantly benefit Oregon’s economy through a flexible market program that allows businesses to determine how best to curb their greenhouse gas emissions. Cap-and-invest will bring in hundreds of millions of dollars a year, including proceeds from out of state that we will not receive otherwise. The system is fairly straightforward. A cap or limit will be instituted, as a way to lower greenhouse gas emissions in Oregon. The state’s largest emitters, about 100 entities, will be required to buy a permit for every ton of climate pollution they produce. Most businesses in Oregon won’t need to be concerned with the cap. Each year, the number of permits will shrink, thus “lowering the cap” and helping our economy hit a safe level of emissions gradually and predictably. Businesses appreciate and want certainty. Proceeds from the sale of permits are specifically designated for spending on projects and programs to grow Oregon’s clean energy economy, create jobs and make our communities and businesses resilient to the impacts of a warming world. Investments may include: helping home or business owners pay for solar panels and building upgrades to save energy, build transportation infrastructure, modernize irrigation equipment, work to prevent wildfires and conduct job training in clean energy careers. Mr. Johnson commented that cap-and-invest “is too complex for the brief 35-day session." We would agree if it was being created from whole cloth right now. But that’s not the case. Aside from the decade-plus of work leading up to it, significant work was done to develop this legislation in the 2017 session. And, that was followed by a thorough Work Group process that unfolded over months in the fall. The legislation under consideration now is a reflection of that hard work. Nothing will be gained by waiting any longer. And if we pass cap-and-invest in 2018, the legislature can focus on revenue reform and PERS in 2019, without distraction. The fact is, some of the most well-known business leaders from across Oregon, represented by our 70 Alliance members, are already collaborating on this policy. We’ve been working hard on this for months. 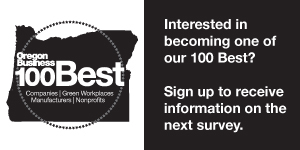 We welcome additional members of Oregon Business and Industry to join us. Cap & Trade as an effective, market-driven model is not new. Five months later, his administration sent Congress a bill that amended the Clean Air Act (CAA). Bush signed the finished law in 1990. The permit-trading system it created for sulfur dioxide pollution from coal-burning power plants became known as the world’s first large-scale cap-and-trade system to control pollution. Acid rain emissions fell by three million tons in 1995, the year the cap took effect. Today, the CAA’s cap-and-trade system is still allowing industry to determine for itself the least expensive way to reduce acid rain emissions. Studies show the program costs utilities much less than originally predicted, cut acid rain by at least half and generates more than $100 billion a year in health, environmental and livability benefits. Now, California, nine Northeast states, several Canadian provinces, and countries throughout Europe and Asia are using that same model to successfully curb carbon emissions. Every jurisdiction in the U.S. with this program has a growing economy, stable energy prices and thousands of new jobs, making the natural transition to a clean energy economy not only feasible but good for business and long-term economic health. Tom Kelly is chair of the Oregon Business Alliance for Climate Board of Directors, and president of Neil Kelly. Alan Sprott is a member of the Oregon Business Alliance for Climate Board of Directors, and Vice President of Vigor Industrial.